Step aside 2017! Bring on 2018 and Weddings! As I sit here gathering my thoughts, tucked snugly under a blanket in a chair by the fire- a warm mug of Jasmine Green tea and Briggs snoring at my side- it’s difficult to believe 2017 is coming to an end. Reflections of the past year and hopes for the New Year, swirl around in my head much like the snowflakes on the wind just outside the window. 2017 was a whirlwind of highs and lows, determination and perseverance. We lost Skip’s mother this past year which left our hearts heavy. As we continued along with the renovation process, Skip and I would often remark how much his mom would have loved seeing all the changes. You see, she was a HUGE fan of the show Fixer Upper and one of her favorite past-times was decorating…typically with her favorite color, white. If she were here today, I think she would be very proud of how far we’ve come and the end result of our renovations. In a way, Skip and I put a bit of her into our project and couldn’t be happier that it has come to a successful end. Don’t be fooled by the renovation shows you see on TV, though. Construction and renovation is difficult and the amount of daily drama should not be underestimated! Everything from ordering materials, only to find out they’ve been delayed and backordered which interrupts your construction timeline, to various crews that can’t quite seem to fit you into their schedule and weather that just won’t cooperate. Delays are common practice, which for someone coming from the corporate world, where everything runs according to clocks and schedules, it’s a nerve-wracking transition. There were seriously days when I wanted to hide in a closet with a five-pound bag of chocolate and a case of wine…and I don’t even drink! And then there’s the inspections…overall, most inspections went very well, but we all know there’s that one guy that can ruin the party. Suffice to say, there was a bit more drama, but in the end, we received our final approvals and are now a fully operational and a state-approved event venue. Good thing too, because I was running low on chocolate! Truth be told though, Skip and I truly enjoyed the design process. Poring over tiles and putting together endless combinations of color and texture, selecting light fixtures and furniture…even urinals and sinks, it was a fun and creative process that helped ease the stress and pain of the construction drama. The entire time, we tried to keep our couples in mind and provide quality products and value to make the space extra special. Timeless elegance was what we were going for, and based on the feedback we have received, I think we hit our target! Skip’s dad even got the creative bug and began crafting an entire room full of items for our couples to use. He has literally spent hundreds of hours on Pinterest finding ideas for things to create in his workshop. Everything from signs, to easels of all sizes to yard games and trestle harvest tables, he has kept busy and we value all that he has contributed to our lives. 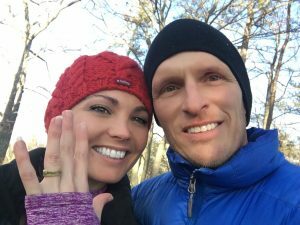 2017 was full of overcoming obstacles, but Skip and I received the wonderful news (and test results to back it up) that not only am I in complete remission from Lyme Disease, but that my body is beginning to heal and return to a normal state of health! Now that our venue is finished and my health has returned, Skip and I can pick up where we left off several years ago…thinking about our future. We have set a date for our own wedding and are excited to finally be able to plan our wedding! 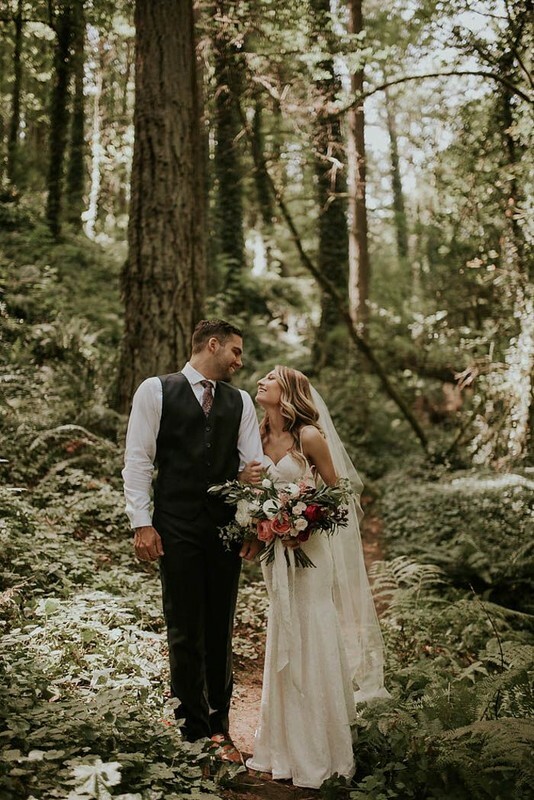 We look forward to the New Year with hopeful and happy hearts and eagerly anticipate the gorgeous weddings of our amazing couples, right here in our beautiful Red River Gorge! Step aside 2017, we’ve got amazing things to do, adventures to have, friends and family to hug on, and weddings to plan!